What would you do if you get a chair which is just induced with all the features of the high edge massage chairs but with just a pinch of extra work in it that will impress you more than anything? You will buy it instead of the other one and the same thing happen when you compare Jaclean massage chair with any other in the similar or bigger price range. The first thing to come in notice is that the chair is made in chins but 70% of the material used in making the chair is imported from Japan. This clears your trust issue with the chairs durability right away. The second thing to drive you towards this chair is its comparison with Panasonic EPMA-73 model, it is far cheaper and has all the features along with extra add on included in this model. With every month, there is an update and bug fix as if this product were software. The massage chair with every new buyer becomes better and easier to assemble along with a round headed screw driver to help the ones without any tools. The massaging rollers provide the longest stroke than any other massage chair that is extended up to 49 inches. The rollers move from your neck rest to your gluteus to give a full fledged rolling massage mode experience. Back and forth metronome based movement give a rocking chair feeling which has been a tradition as well as an effective way to make us feel relaxed during our childhood. Mostly used before sleeping, this mode has been helpful for many with sleeping problems. The zero gravity position is better than many zero gravity concentrated massage chairs and gives a weightless feeling to the user aversively. The massage chair comes with Bluetooth technology to connect the inbuilt speakers to your smart phones and get the relaxing musical therapy just into your headrest. Even though it has all the features and is cheaper than the other models at the same price range and even more expenses, it has a serious assembling and delivery issue. The package comes in a three box separate delivery which is curb side only. The person often is forced to call upon a mechanic to assemble the chair as because the instructions do not match with the product design due to continuous updates in its models. 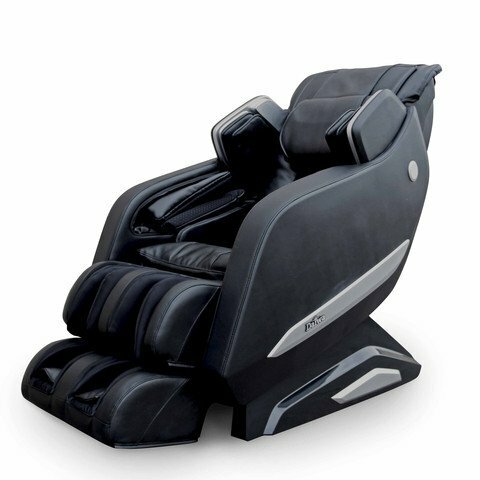 The massage chair may look like a replica of Fujimi EP-8800 massage chair but is having lesser features or the ones that are not worth the cost that comes along with this chair. The footrest area needs to be pushed down to feel any motors on the legs and the people with a less sensational thighs do not get any massage vibes on the low levels. The massage chair lacks the feature of pre programming of the massages and customisable options too. Due to this only the pre set programmes could be run and for only the time duration stated in them. For people with light weight, the massage chair has almost no effect as the motors could not connect properly with the body. Meanwhile, the ones with bulkier body enjoy the chair better. Even if you think that there are massage chairs with more features than this massage chairs at a cheaper price, do not get confused between durability and features. This product is reliable and durable in the features that are provided in it. However, the pre customization is not available and you have to set everything manually for a custom massage every time you want a custom massage. So, I being a lazy person would stay away from this chair and concentrate on the ones which are somewhat equal in reliability with more features at even higher costs.